Need to RENT a Copier, All-in-One, Printer, Fax, Scanner, Plotter or PC for a Short or Long term period? Don’t want to commit to a new 24 to 60 month copier lease in this economy? Use our Recession Buster Rental Program! We can make it easy for you! Short term or Long term Copiers, Faxes, Printers, Computers, Plotters and Scanner rentals are available for a WEEK, a MONTH or on a MONTH-TO-MONTH basis as long as you need it! We have a great selection of Rental Machines for you, for quick delivery and configurations & competitively. Use our Cheaper & Safer Alternative to leasing. Short & Long Term Rental Programs include reliable equipment, professional technical support and all supplies/consumables. We can tailor a Rental Program to meet your specific needs. Most copiers with Copy - Scan - Print included. Fax option based on availability. Please contact us with your needs. Abrax Tech Solutions, Sells, Rents and Leases (Zero Down/$1 Buyout or Zero Down/FMV) New and Reconditioned Digital Copiers, All-in-one Office Machines, etc…. Make us your first call for all your Office Machine needs. We'll be happy to assist you with the choice just right for you! Why you should Rent instead of Buying your next Copier or Printer/MFP? Copier/Printer/Multi-Function rentals include all service & maintenance, parts, toner, and supplies. Customer only pays for paper. There are no long term contracts or lease agreements to sign. We offer a wide selection of quality Business Copiers, Printers & MFP’s to fit your Imaging needs. Photocopiers and Printer/Multi-Function Units can include Feeders, Sorters, (Duplex = Two Sided), Multiple Paper Trays, and Stapling. You can always change or cancel your program. 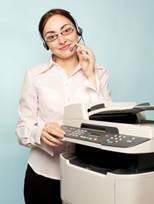 You can upgrade your copier anytime or get a smaller photocopier. Our Month to Month Copier/Printer Rental Program means, no obligations to a long term contract or lease. Our Copier/Printer/Tech Service Staff are available throughout the Minneapolis /St. Paul Twin Cities Area. We may even be able to deliver your Copier/Printer the next day. Computer, Fax, Document Scanner and Plotter rentals are also available. We can accommodate large sized meetings with various sizes of Equipment. Planning a meeting or convention in the Minneapolis/ St. Paul area? Are you Organizing an important EVENT or working on a PRESSING PROJECT and need to rent an Office Machine for a short term? Coming to Minneapolis/St.Paul and you need an Office Machine(s)? Planning a meeting in Minneapolis/ St. Paul MN? Abrax Tech Solutions, llc. has been Renting Office Machines for years and we pride ourselves on customer service as well as High Quality Rentals. Make us your first call for all your Rental Equipment. We'll be glad to assist you. Please Click Here or Contact us at: sales@abrax.com or Call (952) 944-2357 You may also check out our Frequently Asked Questions page if you Click Here. 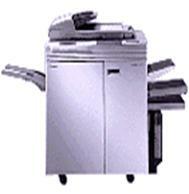 We also sell our used copiers at heavily discounted prices. For example: a two year old copier that retails for $26,000, we can sell used for $4,200. We have used copiers for sale. View our current list of rental products below, and be sure to Contact us for a quote! Multi-Function Copiers boasting simplex/duplex productivity and featuring high output speed and a wide range of finishing capabilities with excellent imaging quality and cost performance to meet the on-demand needs of the light production and PFP/CRD markets, as well as high-volume offices. With standard Black & White network printing, copy and color scanning functions this highly efficient desktop letter/legal multifunctional printer is small, compact and quiet. Improve your image, while keeping ahead of your workflow -- with an office color printer from Abrax that provides high-impact communications and workflow innovations to power up your productivity. HP LaserJet printers are perfect for business users who demand a lot from a printer. If you are not satisfied with the equipment provided to you and serviced by ABRAX, at your request, Abrax will replace it without charge with an identical model or machine with comparable features and capabilities. This guarantee applies as long as you own/rent the equipment and we are your service provider. Service Response: An Abrax service representative will arrive to service your machine within four business hours after a service call is received by our service dispatcher during regular working hours. No Risk: If you are not satisfied with the Maintenance Contract Service provided by ABRAX for your equipment, within the first six months, Abrax will allow you to put your equipment on a service contract with another service provider of your choice. If you are looking to obtain the type of Office Equipment you need to RENT or LEASE for your project, or perhaps you may have long-term needs for a Copier, Printer, Scanner, PC, Server or Laptop(s) just contact us through this Form or call us, and we would be happy to assist you, with a personal Rental Agreement or Lease Agreement on that perfect piece of Office Equipment for You, your Office or your Project from Abrax Tech Solutions. Just send us this form with your desired equipment needs, or if you prefer, just call us. Please respond to all the questions below with details of your needs and press the Submit Button. Our Sales Reps will send you a confirmation email, and schedule an appointment to meet with you via phone or office visit in order to fulfill your needs or to direct you to another resource if needed. Your complete satisfaction is our goal! We look forward to being of assistance to you… All of our Rentals have liberal Delivery & Setup options. Machine Rental or Lease Info.